The triumphant return of ex-Van Der Graaf Generator bass man Nic Potter contains an intriguing mixture of songs old and not so old in celebratory performances with Italian musicians on their home turf. To have chosen a live forum to display his renewed invigoration is no surprise; he is a man that sets his sights and hits the mark with the flair and finesse of a great artist. Potter’s dual personality therefore requires a balance between the yearning of unbridled live work and the concentrated intricacy of the studio environs. Anyone keeping up with his recent activities would no doubt be aware of his regular trips to Italy and his increasing momentum with regards to studio work and song writing. As always, Potter’s artistic integrity is firmly maintained across the board, not just with the musical content but cover artwork and production duties. 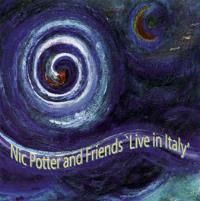 Nic Potter and Friends Live In Italy sees Potter reach full potential with a host of the young and famous from Italy. The recordings are excellent and the mixes have obviously been developed, through hard work and perspiration, to highlight the most important aspects of the material, without bias or the laziness of simply attaining a stage format mix. The playing ranges from incredible to the downright brilliant. Nic has surrounded himself with complimentary musicians who have set their sights on a common goal and squeezed the trigger in unison. This is an excellent inclusion to any Van Der Graaf Generator fan’s collection. The CD is now available via mail order and will soon be available through the shops as part of a major company distribution. A limited edition of CDs with hand painted covers by Nic Potter is available by contacting him through www.nicpotter.com. This is a great little introduction to the show. It’s a Potter classic and live favorite, and manages to set a mood very quickly with a tight, almost funky edge. This scene setting is pure Potter, who knows how to create a relaxed, yet not entirely unresponsive feel, within the live arena. David Jackson’s saxophone is mixed with some great reverb, clean and spacious. In many ways the use of sax in Van Der Graaf Generator was required to fill the traditional role of lead guitar, but with Jackson’s lyrically melodious parts sparring off Franco Giaffreda’s guitar there is a great synchronization between the two, whereby the inevitable clash is kept at bay. Reaching back to the late ‘70s lineup of Van Ger Graaf (now without the “Generator”) this selection, from The Quiet Zone / The Pleasure Dome, continues the punch and power of “Elsham Road” with Giaffreda’s near-abusive attack on the guitar. Francesa Arrigoni has an incredible vocal dynamic that produces a different context within the lineup, something that would sound completely different compared to Peter Hammill’s tortured tonsils. The song has been reborn and Jackson’s newfound freedom is evident. Potter’s tight bass work knits firmly with the drumming of Gig Cavalli Cocchi. The overall result is a solid improvement on the original VDG version. Sounding almost like am alternative pop moment “Night Falls” continues in a similar vein with some cool keyboard riffs by Tony Pagliuca, who offsets the more insane sax and axe moments with a basis for familiarity. The mixes on this recording are particularly good, considering the live source. There are even moments of near psychedelic improvisation, like some of the early ‘70s Pink Floyd material (-think “Embryo” live), though the obvious chemistry between the band members would indicate a common direction. Again, Potter’s Fender work is particularly impressive and he holds back from falling into the trap of the bass player’s mix! At just under 9:00 this is a standout track with all the ingredients of what live performance is all about. Giaffreda’s soloing is in focus with this stomping, hard-compressed beast. He lets loose like a wild animal with echoes of Hendrix and Holdsworth and everything in between. This is pure, unadorned rock at its naked best and allows the rhythm section to take a simple riff and whip it silly! This is the last track from the Guastalla set, closing the first half of the album – which, in days gone by, would indicate the end of side 1. Like something from out a film, “Heavenly” is just that: a soundtrack to a flight on angels’ wings. Potter’s signature bass vibrato is demonstrated behind some soothing slide guitar and analog synth effects. The repetition of the number – again with an almost Floydian atmosphere – sees the rising and falling of waves, or wings as might be better described. The tension builds only to be released, then builds once again. As with “Icarus,” below, this is a re-working of a theme created for the CD Dreamworld, though this time round the multi-layered synthesizer parts are split between voice, guitar, bass and keyboards. I was originally introduced to this piece via the under-rated Dreamworld CD, which featured a differing version – titled, quite simply, “Icarus” – with an incredible guitar solo by Snowy White. The arrangement was in the spatially broad, synthetically orchestrated, New Age style and was an instant production success from Mr. Potter. Stripping back the arrangement and re-assigning the work to a traditional rock band lineup on this Italian performance (in Lecco), the obvious difference is the vocal performance. Complete lyrics – written and sung in an almost hymnal style – redefine the number in a manner which would produce far more risk to the more commercial act. There are funky guitar chords and a looser drum feel, a greater ability for expression and a tendency to deliver an emotive journey, over the usual über atmospherics that one might expect. 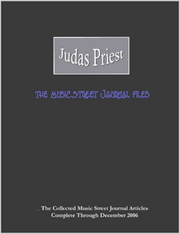 The song’s development allows for greater reaction to spontaneous riff work and ethereal moods, at times sans the drums. This being the next classic VDGG number, the inclusion of this ‘hit’ harkens back to Potter’s second helping on LP with the band, H To He / Who Am The Only One. The emphasis is on guitar rather than the sax lines of the original, although David Jackson is quite evident in the mix. The organ, by Rick Ostidich, is very Hugh Banton B3 style but with a determined, yet never obnoxious, abandon. This version has a darker leaning than the original, adhering to an almost evil feel. Giaffreda’s ear-splitting pitched attacks bring an operatic high; the drumming is far tighter and reminiscent of Yes’ Alan White. The new blood has been injected and the results are a born again classic! 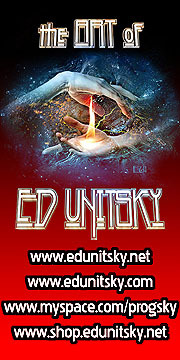 “Darkness 11/11” has the trademark Nic Potter bass line that makes this song the moody standout that it is. So it is no surprise that he employs a bestial attack on the senses with a fat, highly compressed 4-string slave. 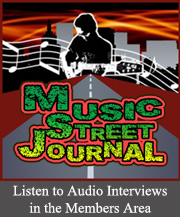 The inclusion of guitar, again, takes the track to different levels. Jackson’s sax and Franco’s axe reincarnate as the tension building, protagonist-antagonist couplet. Arrigoni belts the lyrics out like no other version. Her throat constrained with a desperation that Hammill could never have aspired to. With its funeral-like nature, tightly arranged interplay and bold moments of musical glory, the closing moments of the Lecco selection will be replayed over and over in many fans’ CD players.